in your hearts through faith. This is not so much a personal word as it is prophetic. I have just had this burden about where we are in time. there is little doubt that we are living in serious times. anyone or anything else call the shots. and powers ruling the culture today. that Christ may truly dwell in our hearts by faith. and "His love surpasses knowledge." has created a place for Him to dwell for real. with the fullness of God. but recognize they can no longer stay there. might work in us to release this new wine. It is not a child love focused on "He is mine." It is a bridal love focused on "I am my Beloved's." It's about as dark as it's been in a very long time. Things look pretty dismal in the church today. some pretty awesome wine is about to come forth. He is longing that His glory fills the earth. it really is all about Him getting it all back. 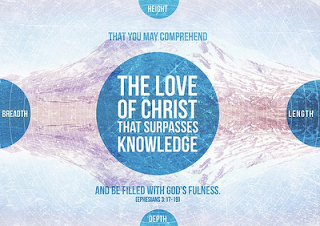 and a demonstration of Your fullness. into that measure of fullness. who wants to come alongside her Father. That You might have Your way on this earth. That this new wine would flow to every region. That heaven would invade earth.